Click the Calendar button in the Navigator pane. You see your current calendar with today’s date highlighted. Click Open Calendar in the Manage Calendars group of the Home tab’s Ribbon. You use the Open Calendar button to view additional calendars in addition to your default calendar. Choose Create New Blank Calendar. 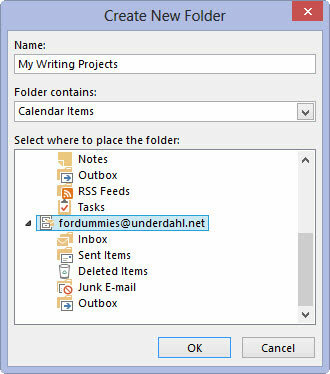 This command opens the Create New Folder dialog box so you can choose the name, type, and location of your new calendar. Give your new calendar a name. Use a descriptive name so that you’ll easily recognize the new calendar. 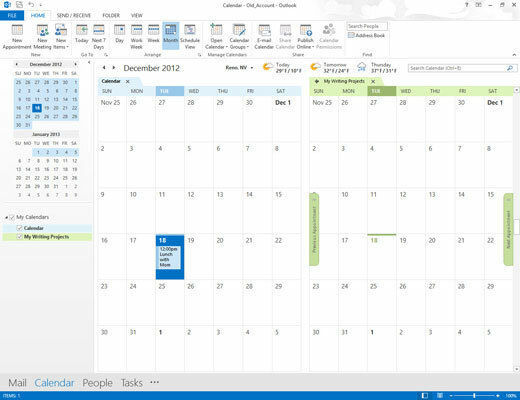 Also decide where you want the new calendar to appear by selecting its home folder. 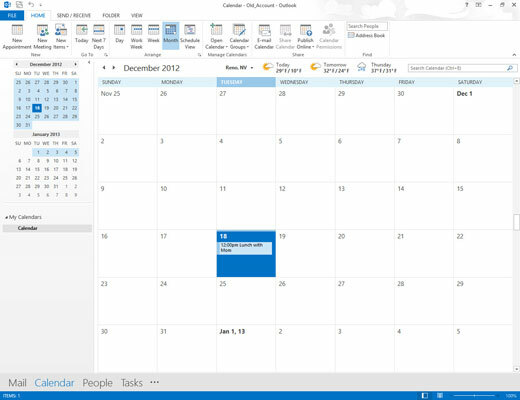 The name you’ve assigned to your new calendar appears in the Folder pane, to the right of a blank check box. If you select the check box, your new calendar will appear in the Information Viewer screen side by side with your original calendar, using the same Day, Week, or Month view. If you deselect the check box to remove the check mark, the calendar you deselected disappears.